Sometimes we are sooo busy and focused on our day-to-day activities that we skip to take a short break, breathe and enjoy very simple moments in life. A couple of days ago, in a perfect autumn day, sunny, warm, with sun rays playing joyful amongst colorful leaves, and people in rush to buy gifts for Halloween, it happened to pass again in front of Northampton Museum and Art Gallery and realized that it’s on my regular way to town center and never have the time to go inside, visit it, relax a bit and let myself delighted with bits of information from local culture, history and take the opportunity to learn new things about the place that somehow adopted me for a while. 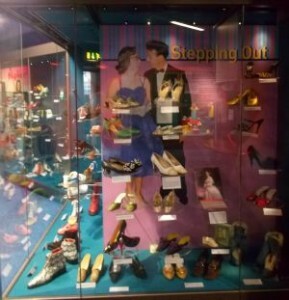 Have no idea how many Northamptonians or tourists have been to this museum – not quite the one worth to travel across the world to visit it – but is a new feature that shows thru objects, sound and film Northampton's (industrial) history from the Stone Age, Roman times, the civil war to the 20th century, is hosting an impressive shoe collection (12,000 footwear from ancient Egyptian times through to the present) – on ground floor, remarkable pieces of fine and decorative art (including Oriental ceramics, 15th to 18th century Italian paintings and showing modern contemporary art objects) and local heritage – on the upper floors. 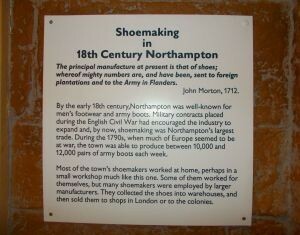 Northampton (located in East Midlands) was the manufacturing capital of England when it came to making shoes – and the Museum and Art Gallery is dedicated to shoes and boots from different time periods and of machinery for the making of them – including the “Life & Sole” and “Followers of Fashion” galleries, holds a unique collection of shoes, from David Beckham's football boots to shoes dating back to 1000BC. 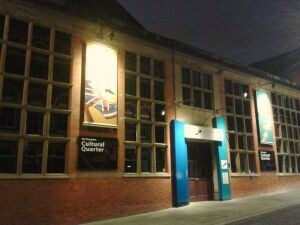 Moreover, The Museum and Art Gallery, opposite the Derngate Theatre, is spread over 3 floors and it’s a free museum – with very friendly and knowledgeable staff – that provides a relaxing cozy space to drink coffee and, also, is accommodating regular events including temporary exhibitions, interesting activities for children from time to time (insects exhibits, Teddy Bear show, etc), lunchtime talks, mornings for the over 60's, sessions for toddlers in term time and school holiday workshops, and a small yet elegant souvenirs shop. 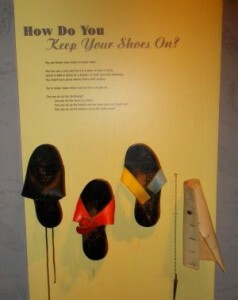 For shoes lovers, no matter if pouring outside, a chilly and foggy day, a rainy afternoon or a perfect bright summer day, the shoe museum – the main attraction in Northampton – could be a trip to heaven where, definitely, one can learn about the history of shoe-making and footwear fashions. 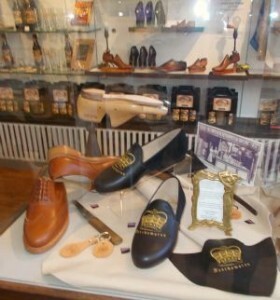 A real mixture of various delights on offer! 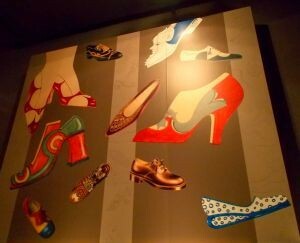 You will not regret visiting this modern charming venue well set up. 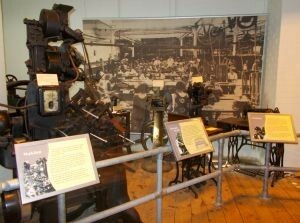 There is much to interest, educate and intrigue young and old here. 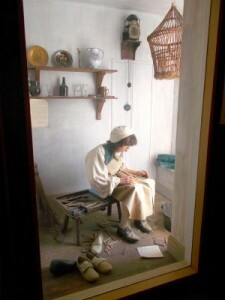 It was a brilliant day out, thoroughly enjoyed the museum and had a large smile seeing the old shoes, the children playing grounds – so tempting, and the Carlsberg' wagon and beverages collection toward the exit, and I'm content I've now taken the time out to visit the town museum for few hours. 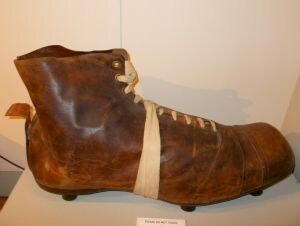 Thank you to all the people who came up with the idea, put together the shoe museum and are maintaining it also hosting various attractive events for all ages and interests!